Sharing a few bloggy favorites from this week. 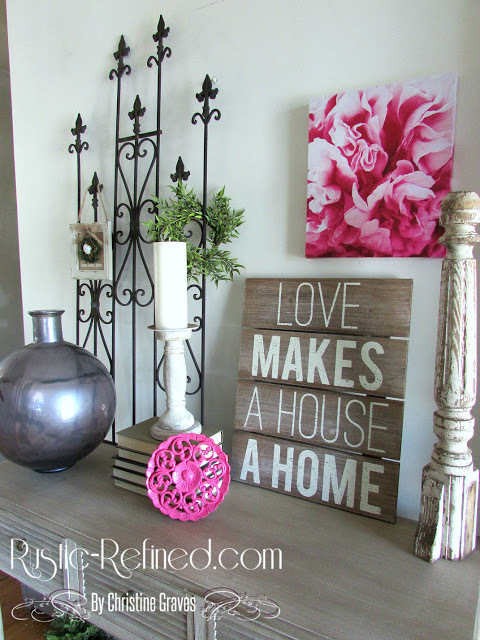 Christine from Rustic & Refined is bringing spring into her house and I'm totally inspired. I love the way she mixes things together. 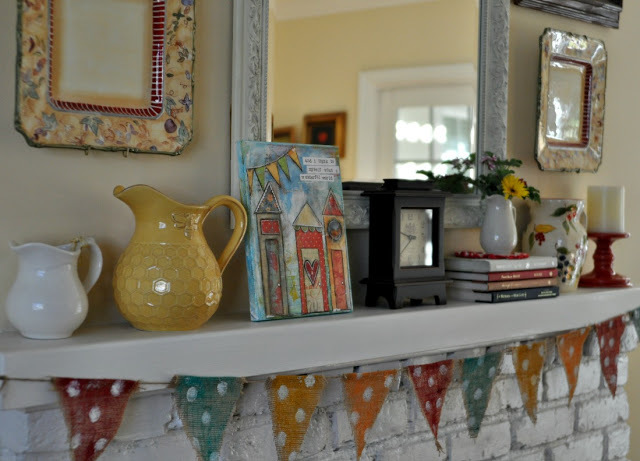 Patty at Lemon Lane Style gave her blog a makeover and it's so colorful and inviting. Jennifer at Dimples & Tangles made these napkin rings with tassels this week. They are so cute and would be easy even for those of us who are craft challenged. Carol at An Oasis in the Desert wrote about home keeping which is one of my favorite subjects. Mundane tasks aren't so mundane if you have the right attitude. 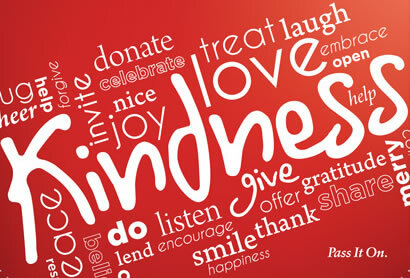 Pat at Gypsy Heart and Soul reminded us to do Random Acts of Kindness. One more thing, you know I love Barry Manilow. Well apparently he was here in Dallas Thursday night and I didn't get the memo. I'm so bummed but because of YouTube we can have a Barry moment. Here ya go just click to listen. I wish we were having as much fun as you are, we are helping my sister in law move! Lol. No rest this weekend. You have so many great links this weekend, I'm hoping I can catch up and explore tomorrow. Have a good weekend Stacey! I like this "Shout Out" idea and love all those your featured. Now I need to go check them out further. Delightful features. My life has been so busy I can't believe another week has passed. I'm still on last week. What a fun idea! We can't possibly see all the wonderful things out there in Blogland, so I love it when fellow bloggers highlight such terrific finds. I LOVE me some Barry Manilow, too! In fact, when my students ask if they can listen to music during work time, I usually put him on. They refer to him as "Barry Mellow." Ha! Some exciting new blogs to visit. Thanks for sharing. So much pretty! I love Christine's pops of pink! Perfect! Thanks for sharing these great features! I love finding new blogs to read! Have a great week ahead. So sweet of you, Stacey! Thank you very much! It's fun to check out new blogs and, as someone said, we can't possibly see everything. :) Hope you're having a great weekend! Here's a little known fact about me...I took baton twirling lessons when I was little and we did a routine to a Barry Manilow song! Haven't thought about that in years! Lots of good links here. I'll have to check them out. Love all your cheerful touches! That mantel is so charming! Thanks so much for the highlight, I am so honored! I am off to show some love to your other features. Ive loved the barry manilow songs since his first big hit...wasnt it " mandy"? Maybe 1973 or so? Hes a great entertainer for sure. I hear he does a great show! I enjoyed seeing the inspirational highlights, Stacey! Awwwww too bad about not getting to see Barry Manilow! Great shout outs....so much creativity and talent out there!! Love that banner and those cute napkin rings! Sorry you missed Barry but they do play him a lot on Siriously Sinatra. I listen to that all day. Love it! Lots of inspiration here! And bummer about Barry! Just wanted to let you know I added you to my bloglovin' feed so I can catch your posts! 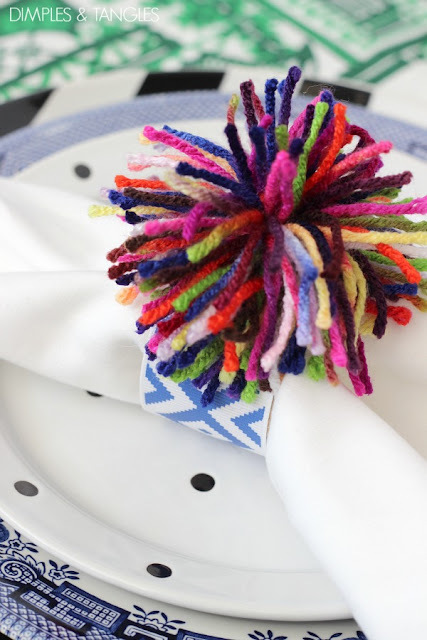 Thanks so much for sharing my pom pom napkin rings, Stacey! Happy Friday to you... yippee!